month old to show my face... I hope you all don't mind. Hi, I'm Rory Lane Huggar and it's nice to meet you. Thanks for following little ol' me." 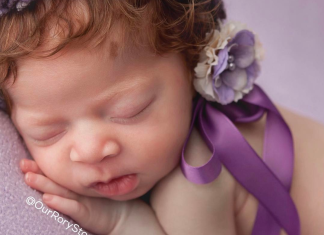 Lena gushed, "One month ago this beautiful little doll blessed our lives more than we could have ever imagined. We are forever grateful for @OurRoryStory"